Consigning Property For Auction Part I | The Antiques Appraisal Process | Skinner Inc.
Are you Ready for an Antiques Appraisal? If you’re a collector of art and antiques or the heir to a family estate, no doubt you’ve thought about consigning some of that property to auction. So what might be stopping you? I’ve been an appraiser for over thirty years, and I’ve helped thousands of clients successfully auction their fine tangibles. In my experience, not knowing how to get the process started is the biggest obstacle to consigning. Here are 5 steps for navigating the consignment process, and my best advice for sailing through it with ease. Before you consign antiques or fine art, you have to know exactly what you have, what it is worth, and whether it is salable at auction. A full service auction house is your one-stop shop for answering these questions, and bringing your property to auction. You’ll want to find an auction house that specializes in the type of objects you have and has a solid track record for selling them. Whether you have paintings, furniture, jewelry, musical instruments, rare Asian arts, or fine wine, a specialty auction house will have appraisers with expertise in specific collecting categories. Search online databases to check auction prices, visit auction house websites, or ask friends, family or colleagues to share their auction experiences—the auction world is very word-of-mouth. Be sure to choose a firm that provides verbal auction estimates free-of-charge, and with no obligation to consign. Be wary of any appraiser who offers to buy the property outright versus taking it on consignment. Once you’ve selected your auction partner, have their appraisers assess your property. There are many ways to get in touch without leaving home. You can send digital or hard copy photographs via mail, email, or through the company’s website. Skinner provides an online auction evaluation form. 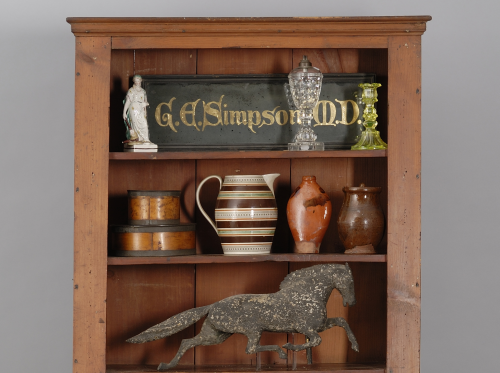 You can also make an appointment to bring your items to the auction gallery for inspection. At Skinner we call this a “lobby appointment.” If you have a whole house full of material, an appraiser can make a “house call” to view the items in situ. Call the Skinner Appraisal Services department at 508-970-3299 to set up an appointment or house call. We may ask you to send photos of your antiques first. 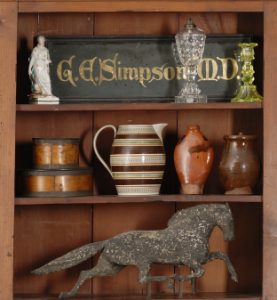 Be sure to look out for my upcoming blog on how to get the most out of an antiques appraisal. You’ll learn what to include in any information you send to an appraiser, and what to expect at an appointment. This entry was posted in Blog and tagged antiques appraisal, appraisal services, Art & Antiques, auction house, consign antiques, Consignment FAQ, consignment process, expert appraiser, Karen Keane, verbal appraisals by Karen Keane. Bookmark the permalink. I have a painting. I will send you a picture of the painting if I had a address.